Here in south east Texas we rarely get any snow but that doesn't stop us from pretending like we do. Our neighborhood has a Christmas party each year for the kids and they have been known to bring the snow in. It's more like shaved ice but we don't care. These are photos of my oldest daughter several years ago. 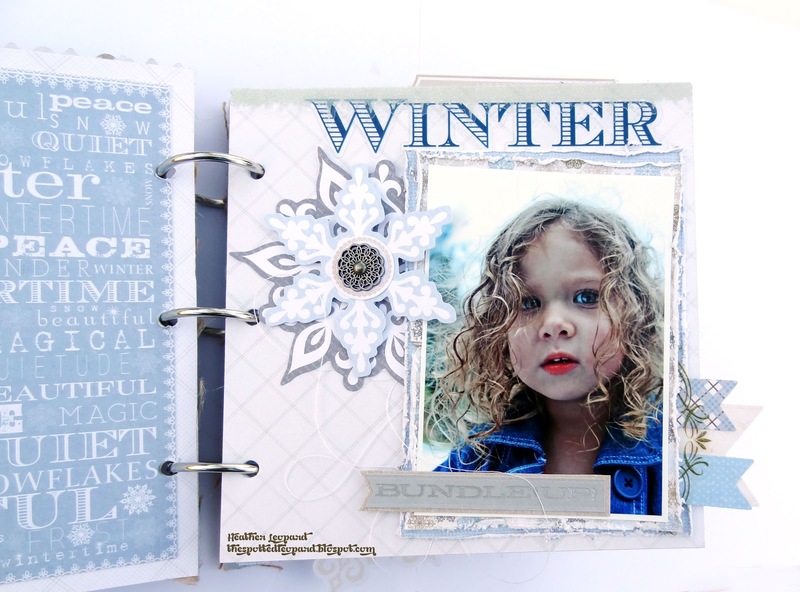 I took way too many photos for a layout and when I got the Winterings collection from Little Yellow Bicycle, I knew I had to pair the photos and this fabulous collection together. I used the new burlap mini for the album. I just love how the icy colors pop on the burlap. I mixed in stickers, chipboard, stick pins and pieces from the paper crafting kit to create the cover. I wanted to focus on one of my favorite photos of my daughter all bundled up. I matted it on distressed papers from the 6x6 paper pad, used banners from the paper crating kit as well as some I cut on my own and topped it off with clear cuts shapes/words, snowflakes and the "Bundle Up" sticker, which I matted to make sure it didn't blend in to the photo. Oh, a snowball did ensue but the snowballs were really ice balls so we lightly tossed them. This grey woodgrain paper with the small snowflake/doilies is so beautiful and I really wanted it to stand out so I added some small itty bitty bling to the center of some of the flakes. The sentiment on this page is a happy accident. The "wonderful" banner was just fading into the grey background paper so I laid it on the dark grey and cut around it like a mat. I didn't like that so I matted it again on the blue and whattayaknow? I didn't like that. I laid them down on each other to think about it and after moving it around a bit and adding the snowflake accent, I had my design. 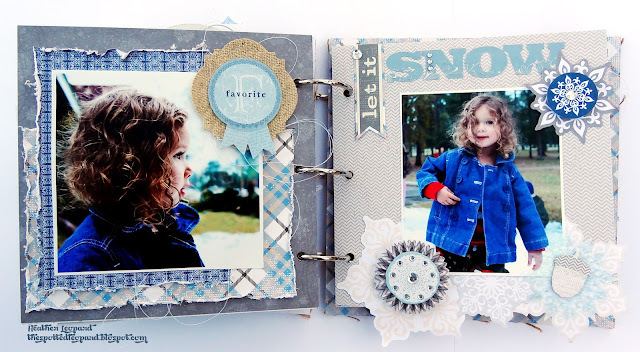 I kept the rest of the page simply, adding some adhesive vellum tape to the photos. For the coordinating page, I layered 2 sets of clear cuts over the distressed papers, added a photo strip of photos and completed it with rosette and chipboard. Finally, we were able to make a small snowman. We used little bits of tree bark for the eyes and a leaf for the nose. I used paper from the 6x6 pad for the background of the left page and then I just added a journaling note, chipboard, more clear cuts and snowflakes form the paper crafting kit. 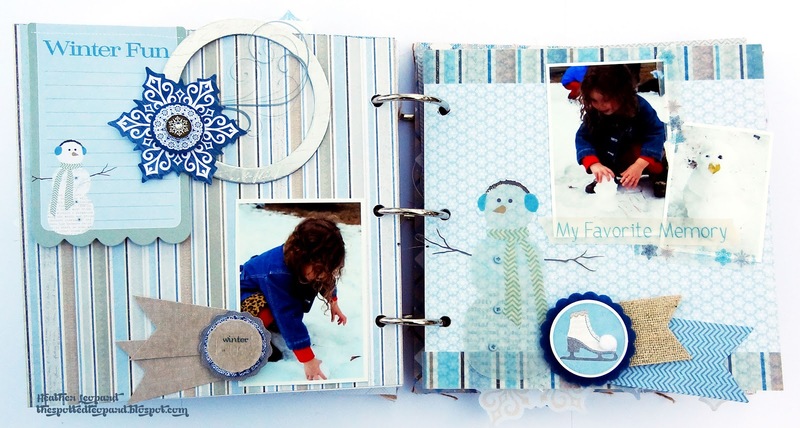 For the right side, I used the striped vellum tape to draw in the pattern from the left, added the snowman, canvas goodies, banners and more vellum tape. We had a lot of fun this day. 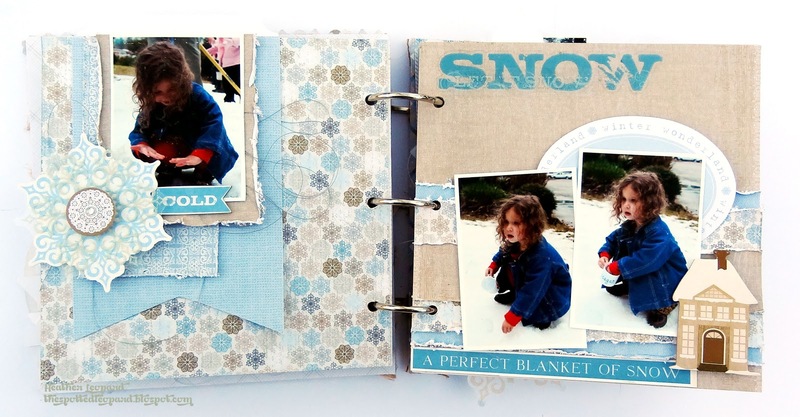 I am looking forward to taking our kids skiing soon so they can experience some real snow! 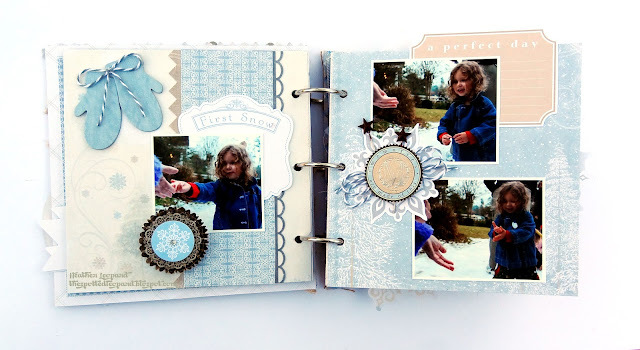 The left page include vellum tape over the photo and a canvas embellishment layered over a clear cuts Christmas tree. 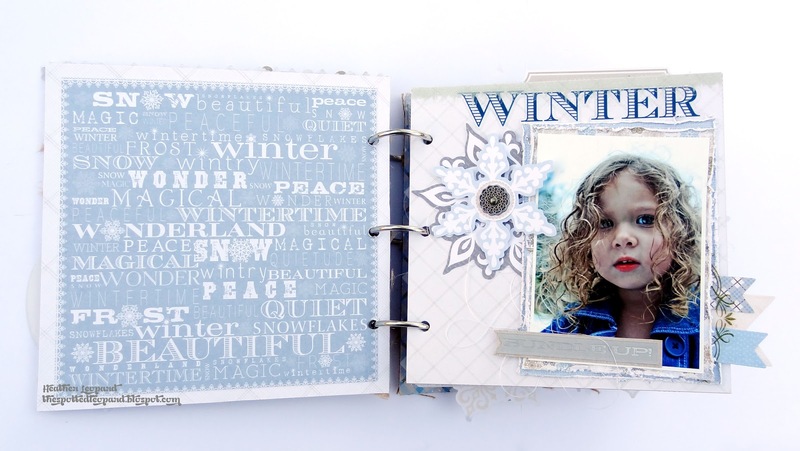 The right side includes the "Welcome Winter" sentiment I pulled off the canvas from the previous page as well as the "Beautiful" banner layered over a rosette from the paper crafting kit. I am so in love with the colors of this collection. It truly gives off the vibe of a cold winter day playing in the snow. I cannot wait to show my daughter this album. This is such an awesome mini!!! I just love that burlap cover!!! This is just gorgeous! The burlap cover is the best. those pictures are TOTALLY precious! LOVE this sweet little album-just GORGEOUS! This is absolutely gorgeous Heather!!! 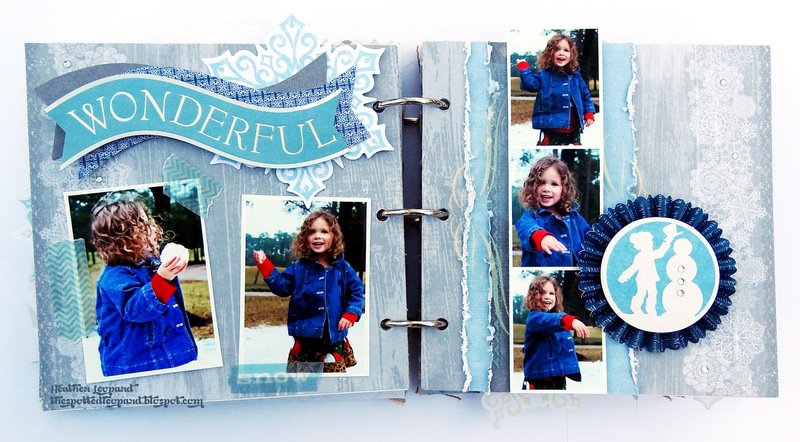 Just a beautiful mini album Heather! I'm glad you got some snow in TX so you'd have the perfect photos for it. 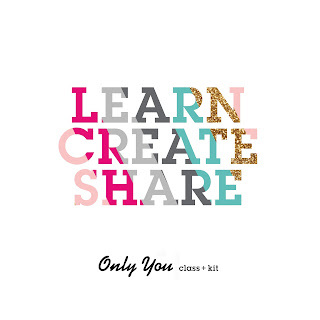 Thank you for sharing it on A Crafty Soiree last week. I've featured your project in the newest one, which will be up at midnight EST tonight. absolutely adorable and she is a doll! Love the sweet litle album,In all pics she is looking so cool..
Winter card in 3rd pic is really nice,Specially girl is looking so cute..